Good Women Dance Collective (GWDC) is a creation-based company committed to supporting a vibrant and sustainable contemporary dance community in Edmonton. The society’s artistic focus is on creating, commissioning and producing innovative new works that simultaneously challenge and expand our audience. GWDC also dedicates a large part of its season toward partnering with local organizations to offer performance, educational, and professional development opportunities to artists working in Edmonton. Current artistic members Ainsley Hillyard, Alison Kause, Alida Kendell and Kate Stashko have trained across Canada, the U.S. and Europe, and continue to work towards making contemporary dance more accessible to the general public. GWDC strives to provide consistent training, performance, professional development and community-building opportunities to the Edmonton dance community, fostering the continued growth and development of its artists, while offering opportunities for dialogue and engagement between artists and the public. GWDC produces several events each season, including the annual showcase of local contemporary dance, Convergence. The artistic members also work in partnership with local dance festivals as curators and to organize workshops.  The collective is proudly supported by the Canada Council for the Arts and the Alberta Foundation for the Arts, Alberta Lotteries, the Edmonton Arts Council and Edmonton Community Foundation. Good Women Dance Collective (GWDC) envisions a vibrant, sustainable, inclusive and diverse dance community in Edmonton. To cultivate its vision of a vibrant, sustainable, inclusive and diverse dance community in Edmonton, Good Women Dance Collective combines the artistic pursuit of its Collective Artists with support for dance artists and audience development. The Collective’s artistic focus is on creating, commissioning, performing, and producing dance works, as well as cross-disciplinary co-productions, with physical depth and social relevance that challenge its artists and audiences. The Collective works to encourage artistic growth, provide training, and support the careers and practice of emerging and established dance artists. The Collective aims to enrich the public’s experience and understanding of contemporary dance. While GWDC strives to foster the continued growth and development of Edmonton artists, it is also committed to offering opportunities for dialogue and engagement between artists and the public regionally and nationally. Good Women Dance Collective is a not-for-profit society and charitable organization based in Edmonton. GWDC operates as an artist-run collective supported by a volunteer Board of Directors and members of the registered society. GWDC artists’ approach to truly collective creation and shared administration of the company challenges both hierarchical choreographic approaches and traditional top-down company structures. We’re a non-profit organization that depends on the generosity and financial support of our community. If you’d like to help us to continue to bring distinct dance experiences to the public, please consider donating.